OK so Mac OS X Lion won’t be released until next month, but if you do a little preparation now you should be able to save at least 15% off the already low $29.99 price. How? Simple, buying iTunes Gift Cards on sale and redeeming them on the Mac App Store. Here’s the deal with eligible gift cards, they’re labeled a million different things, ranging from iTunes Store gift cards, to App Store gift cards, to iBooks gift cards, but they’ll all redeem on the App Store, just make sure they have that Apple logo. This is one of the unseen advantages to Lion, or anything else for that matter, being distributed exclusively through the Mac App Store, easy discounts! You’ll probably need to shop around a bit and check your local newspaper (you know, those stacks of thinly sliced trees) or even your good old fashioned snailmail junkmail, thats where I found the RiteAid offer that I took advantage of. I heard that Target is discounting packs of them right now, but this probably varies by store and their website doesn’t indicate any such sale. 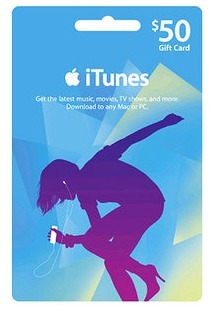 So grab a couple iTunes gift cards on sale, add the balance to your Apple ID now, and wait for Lion to come out. If you’re not thrilled with the App Store distribution model, don’t forget you can burn a Lion installation DVD yourself too. I’ve been doing this with the 10 packs from Target for a long time. It’s insignificant for $1 apps, but if you start buying games, Aperture, and the iWork suite it adds up quick. I’ve been doing this for years until hackers got into my account and stole the Gift Card money in my account! Now, I’m not so sure I want to use any Gift Cards and risk being hacked from within an app that I don’t own! Someone probably guessed your password, Apple has very tight security measures in place. So just to be doubly sure, I can walk in to the Co-op (UK), put the £15 on my itunes account and leave it until I install Lion and it will only ask me to pay the remaining £5? Yes you can apply the iTunes credit to your account and then you only owe the remaining balance. OfficeMax just had a $50 of cards for $40, look in your Sunday classifieds. These are always on sale, take advantage of it and never pay full price for any app.